As part of Industry and Business TV we went along to DataCentres Ireland and spoke to a number of exhibitors, speakers and attendees all involved in data centres here in Ireland and internationally. Ireland hosts nine of the top ten world leading IT companies. Companies such as Google, LinkedIn, Apple and Facebook have selected Ireland as their base for data centres. Supplying and offering services to companies building data centres is a thriving industry, particularly here in Ireland. 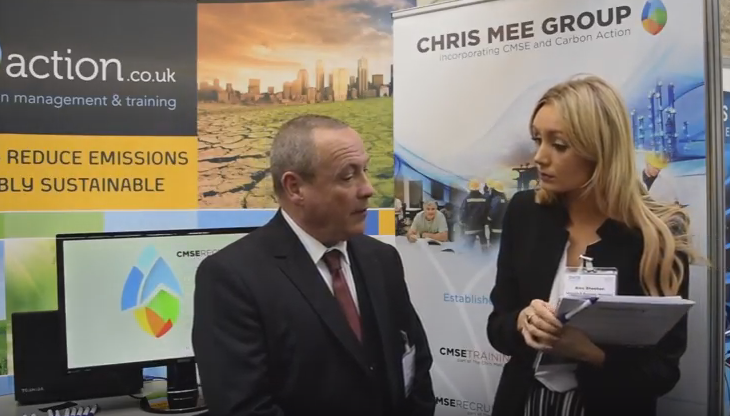 In this interview we spoke to Fergal Mee of Carbon Action which is part of the Chris Mee Group. Carbon Action have already trained many leading organisations such as DEFRA, The Carbon Trust, Royal Shell, Deutsche Bank and many more. In this interview Fergal Mee explains how Carbon Action assist those involved in Data Centres.